Snow Canyon Drive starts near Ivins, cuts north through the Snow Canyon State Park, and ends at UT-18, with sandstone, granite and lava formations making intricate designs in the canyon walls. Snow Canyon Drive winds through the state park, known for its lava beds, petrified sand dunes, and high canyon walls. Try one of the many hikes through the park, ranging from an easy half-hour to a full-day trip. Stop at some of the many turnouts for pictures and lasting impressions. 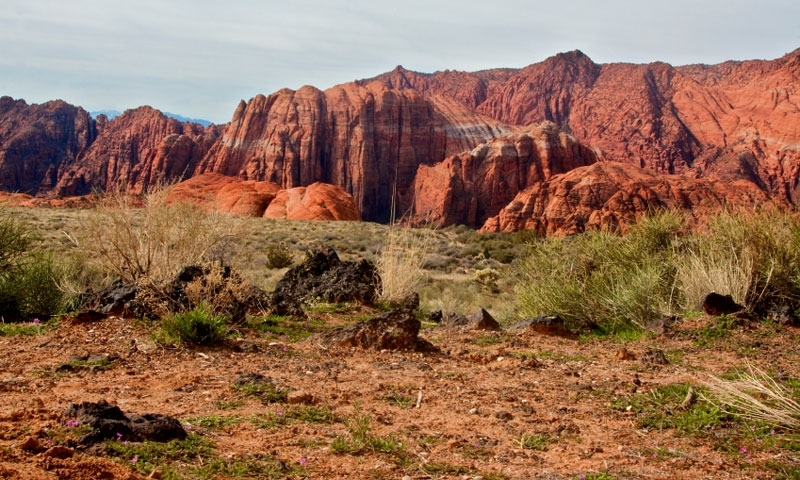 Snow Canyon is generally known for offering great hiking, biking, climbing and other outdoor opportunities, but just driving the canyon road is a treasure in itself, cutting through the sandstone and lava-sculpted geology. From the town of St. George, head north on Bluff St. until reaching Snow Canyon Pkwy. Turn left, then continue four miles to Snow Canyon Drive. Turn right and follow the road until it reconnects with UT-18, which heads south back to St. George or north through Dammeron Valley and Dixie National Forest. The one-way trip is less than 7 miles long, generally lasting less than an hour, including stops for pictures. 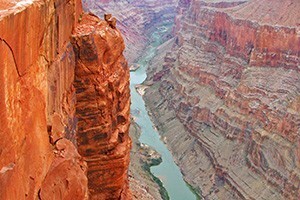 The main attraction of the scenic drive is, of course, the canyon itself. The cinder cones and sandstone canyon walls leave lasting impressions, especially with the strange mix of lava and sand throughout the canyon. Much of southwestern Utah's landscape was created by wind-blown sand, which later became sandstone. 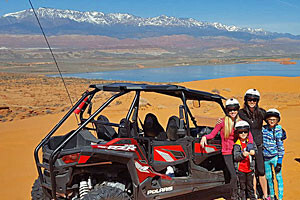 Visible from Snow Canyon Drive, these sand dunes never lost their original shape after being petrified into sandstone dunes. While the cinder cones that spewed forth the molten rock are visible from afar, the resulting lava beds and crevasses are on display at the end of this short hike to an impressive outlook. This modern theater is set at the base of Snow Canyon, so be sure to time your scenic drive with one of the many shows happening at this venue.